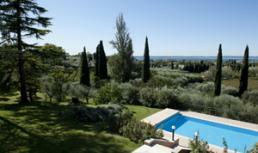 Villa Santi is for rent in the hills near Lazise on the banks of Lake Garda (Italy) with stunning lake view. Superb villa for 8 – 14 persons with private pool, air conditioning and internet! Villa Garda is for rent near the medieval town Torri de Benaco on the banks of Lake Garda (Italy). Lovely vacation villa for 6 with private pool, air conditioning, sauna and internet!